The commemoration of late Hugo Chavez with a rewriting of the Christian Lord’s Prayer is causing controversy in Venezuela. Venezuela’s Roman Catholic Church is denouncing the used of Hugo Chavez’s name in an “untouchable” prayer. President Nicolas Maduro defends it, and calls critics “new inquisitors”. The scandal forth started on September 1, when socialist party delegate Maria Estrella Uribe read the prayer at a party convention. “Our Chavez who art in heaven, lead us not into the temptation of capitalism,” she read. Hugo Chavez’s legacy has taken on a religious glow in Venezuela since the leader’s death last year. Rosaries adorned with Hugo Chavez’s face, shrines and images depicting him with a Christian cross have become commonplace. 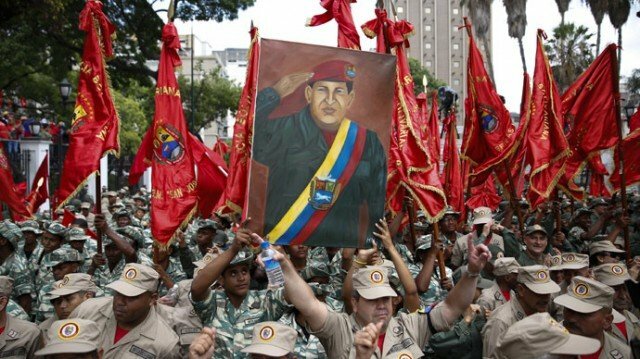 Followers often say they believe Hugo Chavez was on a divine mission. On September 4, Nicolas Maduro defended Maria Estrella Uribe’s modification, and said she was being targeted by new inquisitors who wanted to turn her humble prayer into a sin. During his presidency, Hugo Chavez frequently crossed paths with Venezuela’s church, which sometimes accused the socialist leader of becoming increasingly authoritarian. 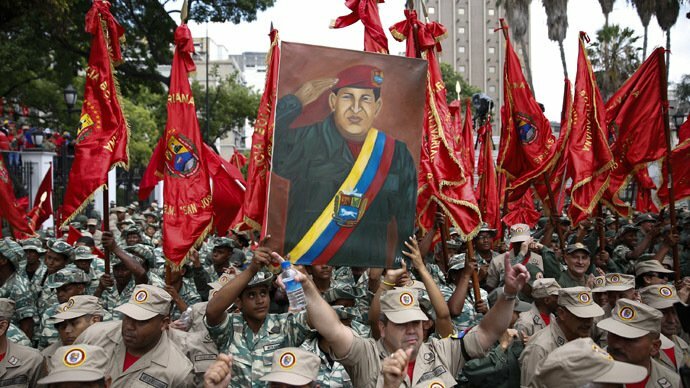 Hugo Chavez described Christ as a socialist and said local church authorities were misleading the Vatican with warnings that Venezuela was drifting toward dictatorship. Venezuela is 90% Catholic, though many marry their Christianity with Santeria and other syncretic belief systems.